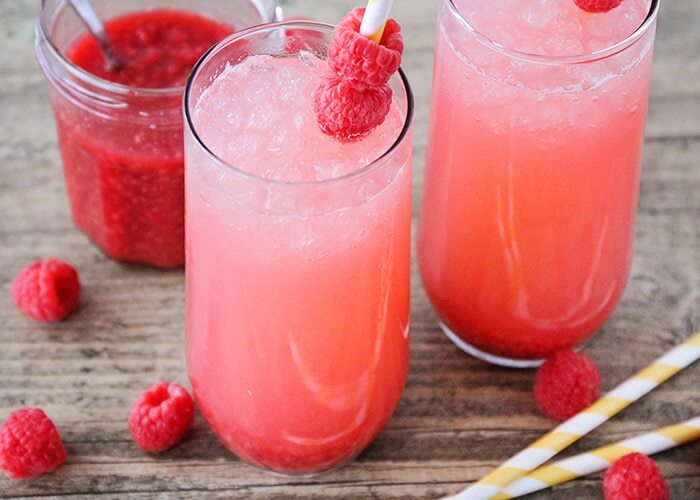 This sweet and tangy, made from scratch, raspberry lemonade is so refreshing and delicious. 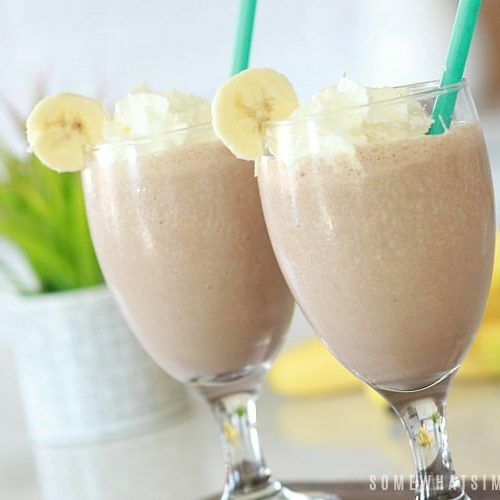 The perfect treat to enjoy all summer long! I love serving raspberry lemonade when we’re making Fall Off The Bone Ribs for a Summer BBQ with family and friends. Or mix up a batch of this refreshing drink and have your kids set up a Lemonade Stand in the neighborhood. I have quite a thing for lemonade. When it’s hot outside, it’s all I want to drink! It’s cold, refreshing, and so delicious. 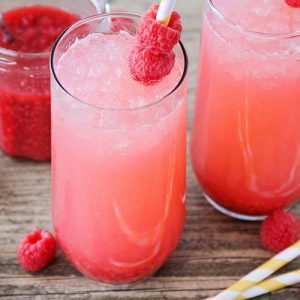 As much as I love a good basic lemonade recipe, this raspberry lemonade is over-the-top amazing! It’s so incredibly flavorful, sweet and tangy, and super refreshing. Best of all, it’s easy to make in advance, which means you can make it at the beginning of the week and enjoy fresh raspberry lemonade all week long. 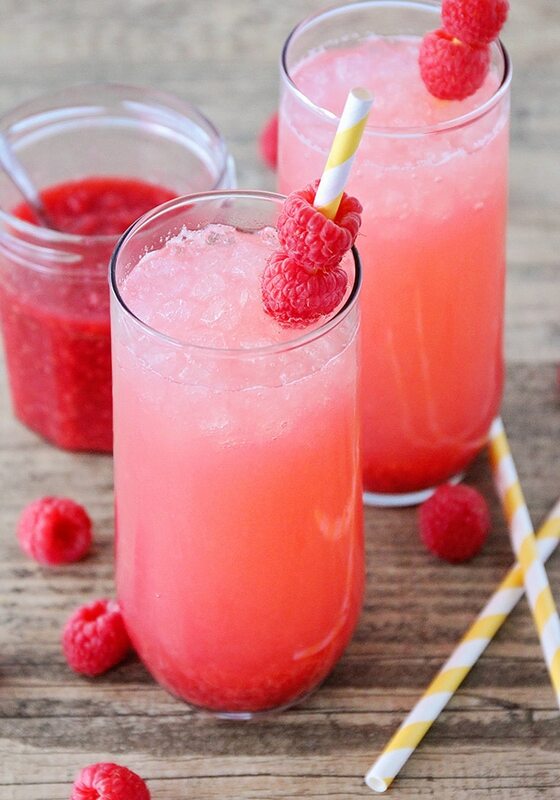 This raspberry lemonade starts with a delicious homemade raspberry sauce. It has only five ingredients and takes just a few minutes to make. As great as it is in this lemonade, it’s also delicious as a topping for waffles or ice cream (or just eating out of the jar with a spoon). Once your raspberry sauce is finished and cooling down, you’ll make the fresh squeezed lemonade, then combine the two into a delicious drink. The recipe makes enough for about eight servings, and you could easily double or triple it for a party. 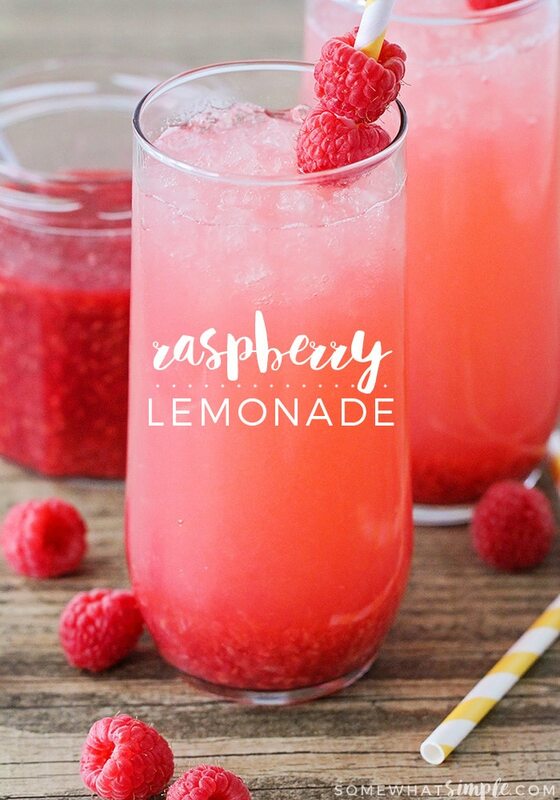 Seriously, one taste of this delicious raspberry lemonade and you will be hooked!. I’m going to be enjoying it all summer long! 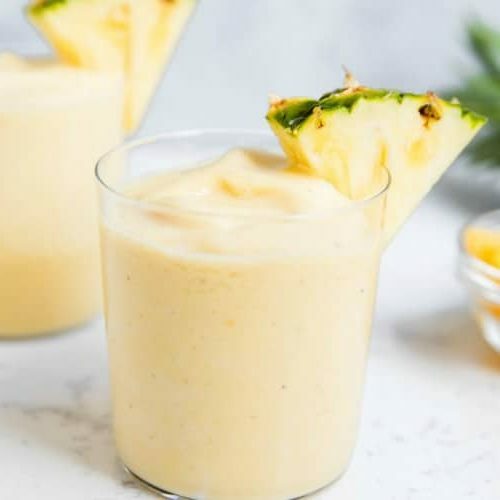 To make a batch of this refreshing drink just follow this easy recipe and you’ll be pouring yourself a tall glass in no time. For the perfect presentation, put a couple left over raspberries through a colorful striped straw and you’re all set. To make the raspberry sauce, add the raspberries, lemon juice, and sugar to a medium sauce pan. Heat over medium heat, stirring frequently to break up the raspberries, until the mixture comes to a simmer. In a small bowl, whisk together the corn starch and water. Pour the corn starch mixture into the pot, stir to combine, and cook 2-3 minutes, until thickened. To make the lemonade, in a small saucepan over medium-high heat, combine sugar and one cup of water. Bring mixture to a boil, stirring often until sugar is completely dissolved (about 5 minutes). Allow mixture to come to room temperature and chill for 1 hour. In a large pitcher, combine juice from lemons, the remaining seven cups of water and the sugar water mixture. 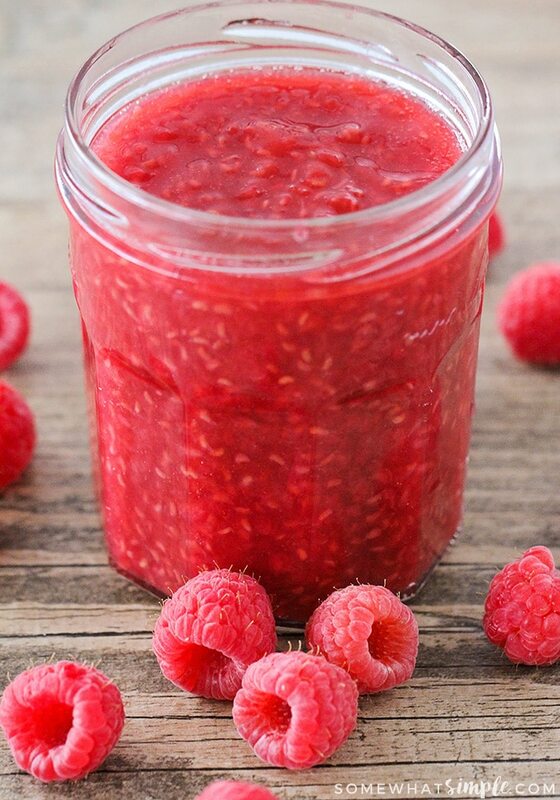 To assemble, spoon two tablespoons of raspberry sauce into the bottom of a glass. Add ice and pour lemonade to fill the glass. Stir and enjoy. 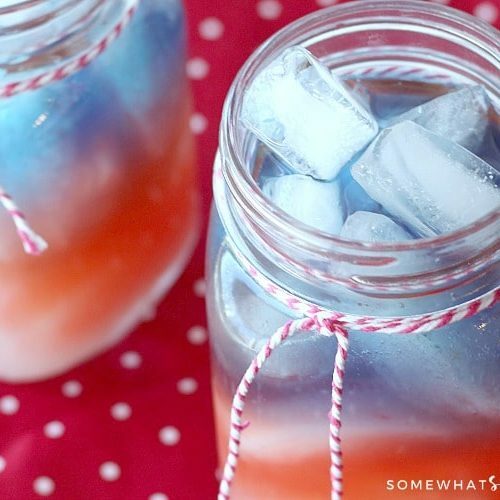 This refreshing drink will be perfect in the North Carolina heat! Can’t wait to make some! Thank you for sharing on Celebrate It! I love raspberries and this looks delicious! I have raspberry freezer jam. Wondering if it might work? thanks for sharing with SYC. What a refreshing drink this would be in the summer. 🙂 It looks beautiful too!